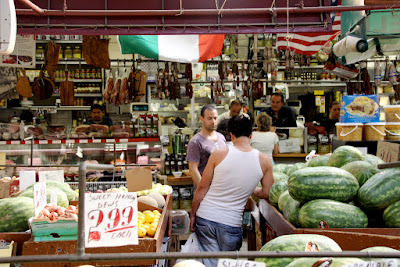 Many American cities have a Chinatown and a Little Italy, dating back a hundred years or more. 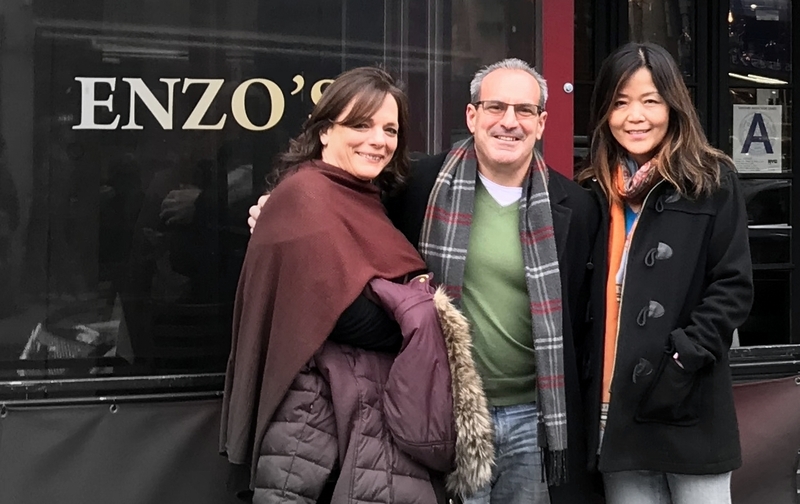 While Chinatowns are often growing, evolving, and expanding due to the regular influx of new Chinese immigrants, any waves of Italian immigrants ended 75 or more years ago. 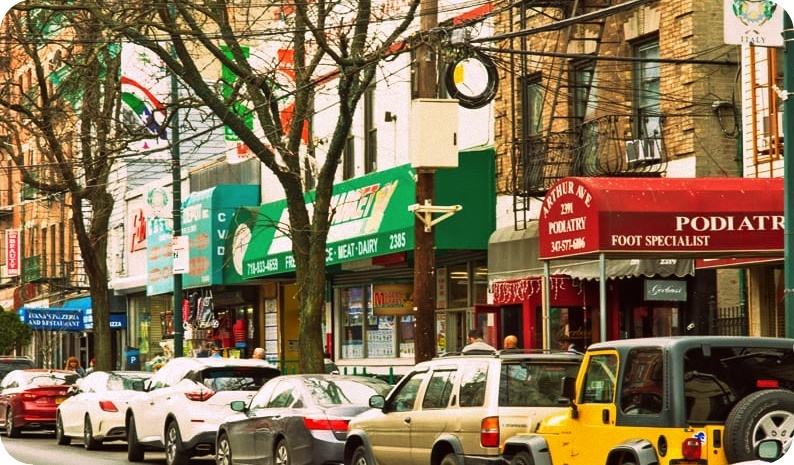 As a result, many Italian and Little Italy neighborhoods are dramatically different. 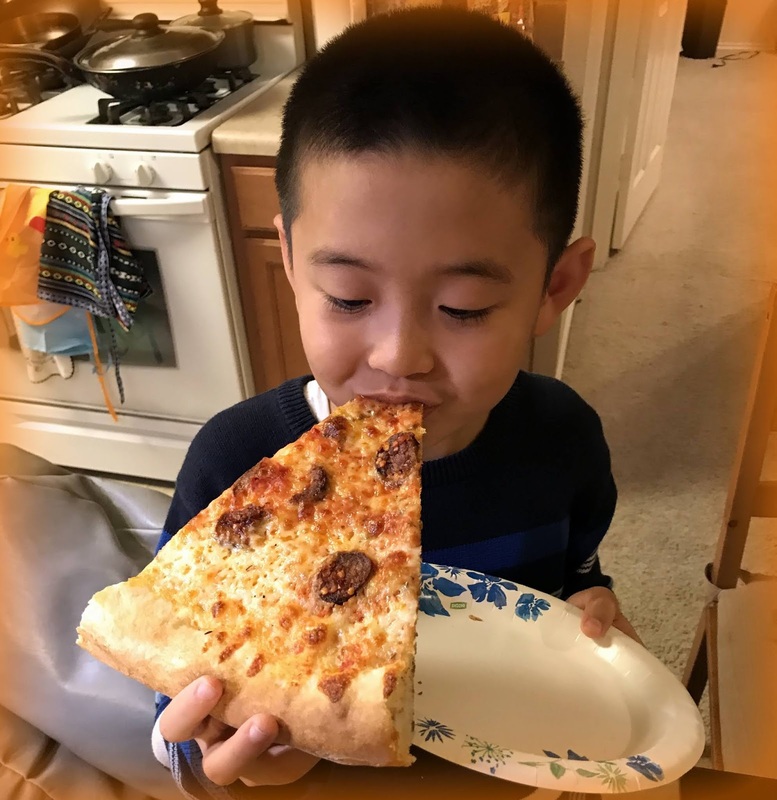 In Trenton, NJ, home of the tomato pie, the Chambersburg section held the concentration of Italian immigrants, then their children and grandchildren, in remarkable numbers up through the 1990s. 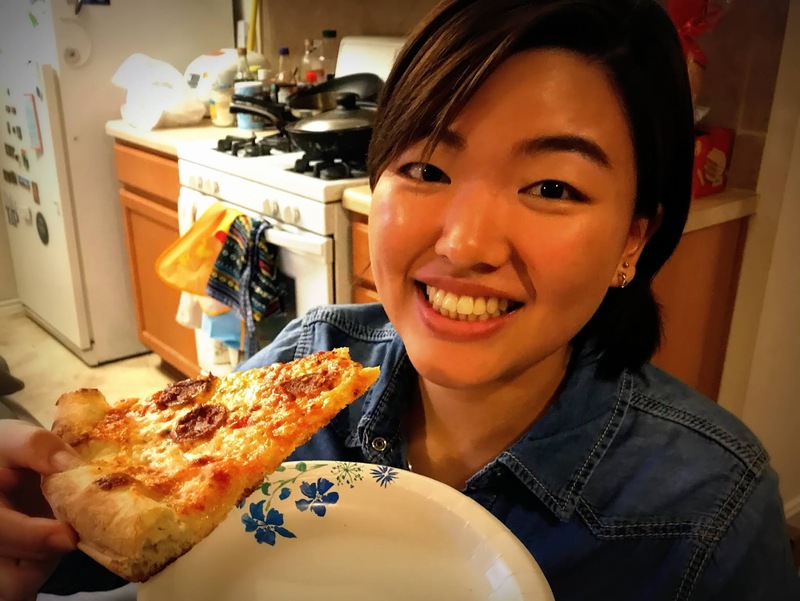 But since then, every Italian restaurant and tomato pie maker like DeLorenzo's and Papa's has either closed its doors or moved out to the suburbs, as did the descendants of the original Italian immigrants. San Diego has a lovely Little Italy, but it's essentially a tourist area containing many fine restaurants but no real community of Italian immigrants. Little Italy in Manhattan is much the same. In Philly, new visitors to "The Italian Market" where Rocky ran through the streets will wonder how it got its name, because only a handful of Italian storefronts remain. The market is better than it's ever been, but it is Vietnamese, Mexican, Chinese, and a great blend of the modern fabric of America. Meanwhile, Chinatown in Manhattan is robust, filled with both new immigrants and native-born people who speak little to no English. There are new Chinatowns bustling and growing on 8th Avenue in Brooklyn and in Flushing. 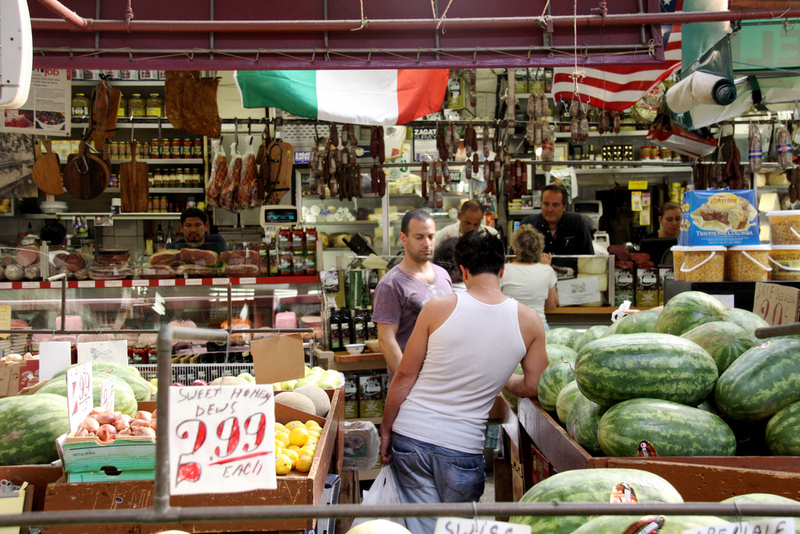 Is there still a thriving Little Italy left in any American city? By my observation, yes - and it's centered on Arthur Avenue in the Bronx. Sure, there are tour buses bringing in groups to visit the shops and restaurants, and other immigrant populations (Albanians, for one) are getting a foothold on adjoining streets, but Arthur Avenue remains largely authentic. In just two blocks from where I parked my car, I passed three Italian bakeries en route to our destination restaurant, Enzo's. Just a few doors down is Zero Otto Nove, where I had superb Neapolitan pizza years before it became widely popular in America. 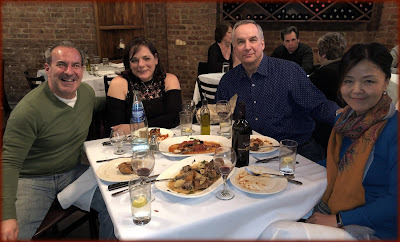 What made this visit special is that I was accompanied by two Bronx natives (Ken and Sue), both of Italian heritage; Sue has lived her entire life near this neighborhood. 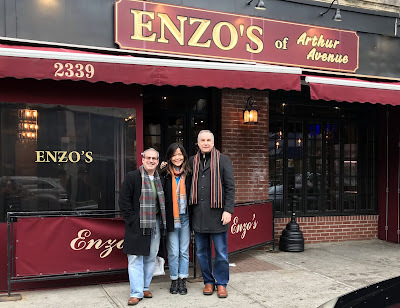 As we were seated in Enzo's on a Saturday afternoon, the bartender and the maitre d' called out greetings to each of my friends. The wine steward turned out to be a childhood friend of Sue. Beyond the widespread congeniality in the room, what struck me was that the conversation at most tables and with the staff was conducted in Italian. Most or all of these people are born and educated in America, speaking English, yet they are fully engulfed in Italian heritage in this restaurant. I felt like an extra in a Scorsese or Coppola movie, and every moment was a delight. We ordered a 12" Neapolitan style pizza to share as an appetizer. We also ate, family style, an octopus appetizer, and three entrees: pork brasciole, red snapper, and chicken Scarpariello. All of this was expertly rendered in a traditional red-gravy fashion. This is a pizza blog, so how was the pizza? 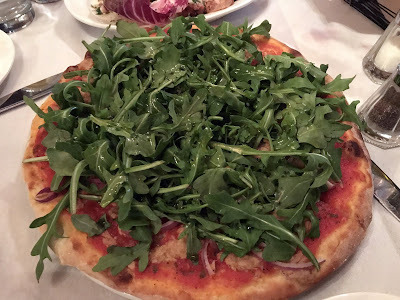 Ken persuaded us to order pizza al tonno - a pie with canned tuna, topped with arugula. I'm always skeptical of seafood on a pizza (unless clams in New Haven), but I was willing to experiment with our appetizer. The pie arrived looking like a typical Neapolitan, perhaps with a less-than-normal puffiness to the cornicione. It was covered entirely with fresh arugula, such that the tuna was not visible. 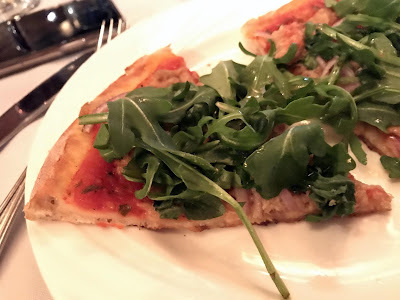 I don't think that Enzo's has a 1000 degree dome oven, so the pizza was a bit of a hybrid, cooked in a more conventional oven, yielding a crisper, sturdier crust. Much like the hearty bread served with our meal, this pizza crust had its own terrific flavor and texture. 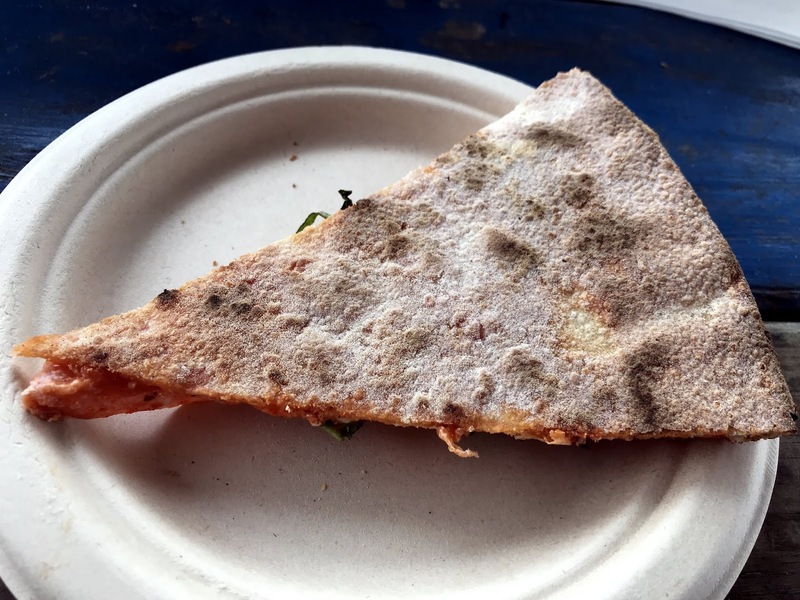 This thin and crisp crust was somewhere between a New York slice and a Neapolitan, but more on the New York end. While the cheese was applied in perfect proportion, it was a role player to marry the sauce and tuna to the crust. The red sauce was rich and very old-world, and that made it stand up well to the tuna. 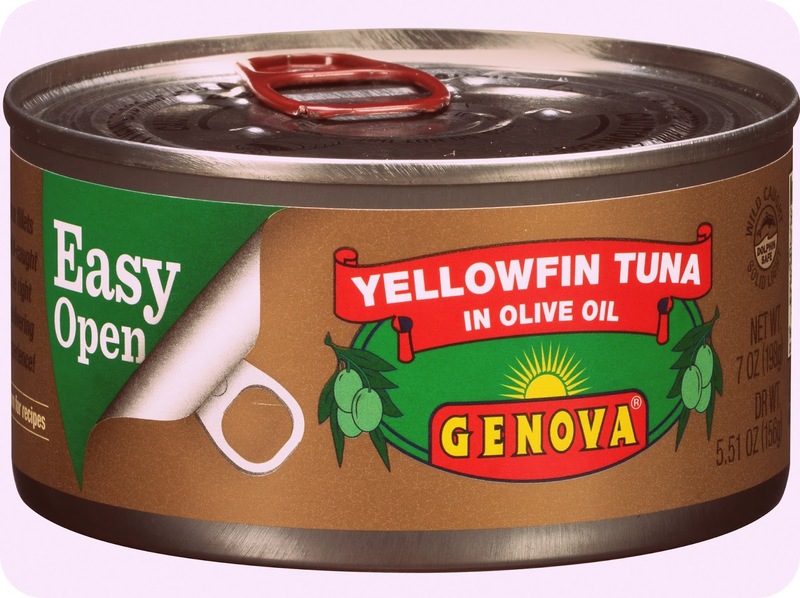 If you eat canned tuna, you perhaps know that the Italian variety has a much better flavor than the Three Diamonds or Starkist stuff that most Americans eat. That rich taste came through here and - to my surprise - was fully compatible with the cheese and red sauce. 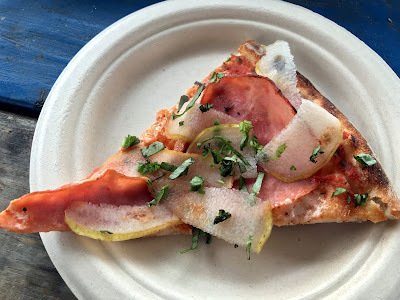 It was one of the very few experiences I've had that add umami to pizza without depending on cured meats. This pie was a hit with all of us, and rapidly demolished. 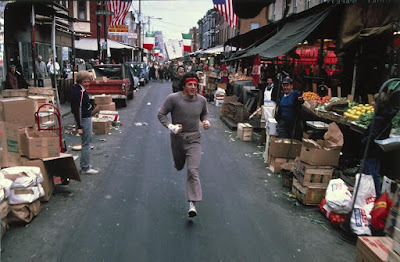 I was shocked by how rapidly - over a period of about ten years - the "Little Italy" in the Chambersburg section of Trenton NJ was completely transformed, leaving no trace of its heritage. 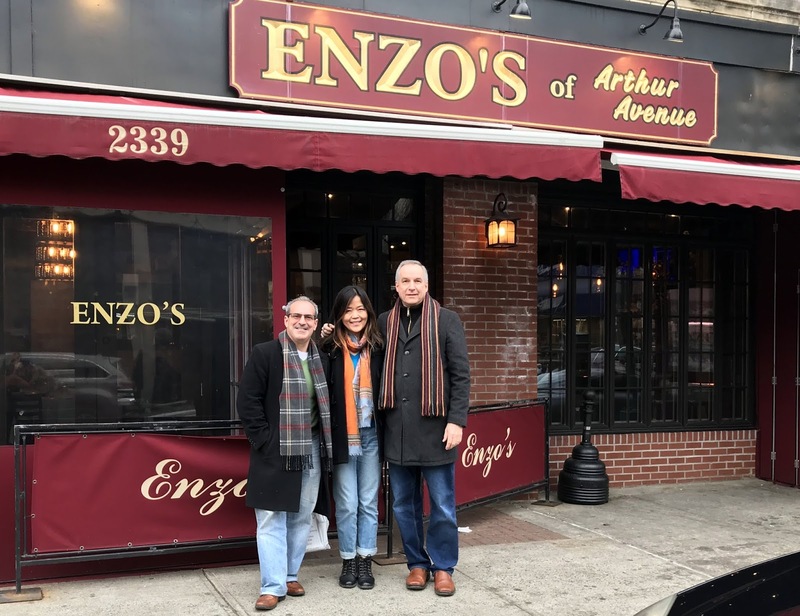 If you're anywhere nearby or simply a visitor to New York City, I encourage you to visit Arthur Avenue and experience one of the last remaining Little Italy enclaves. Lakeway and Bee Cave are lovely outposts about 30 minutes west of Austin, Texas. There's rolling hills and captivating views of Lake Travis, but not many interesting dining choices. It's all so new that there's little history or character to the culinary scene; folks are excited just to have a big new H.E.B. grocery store. 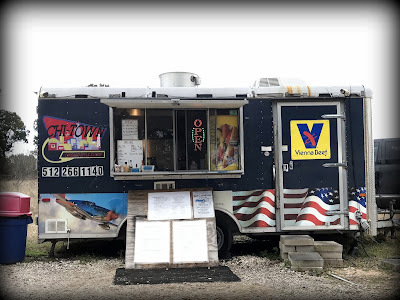 Route 620 is the main artery through Bee Cave, and there we found a dusty roadside stop that featured a few picnic tables and three food trailers. All of them looked authentic and terrific; there was a Chicago-themed trailer featuring Chicago hot dogs, a BBQ outpost, and Backdraft Pizzeria. Naturally, we came for the pizza. The pies at Backdraft are all 12", enough for one large hungry person, or enough for two to split at lunch, as we did. You can customize your pizza with a broad range of meat or vegetable toppings, but we decided to trust the experts and select from their five different specialty pies. 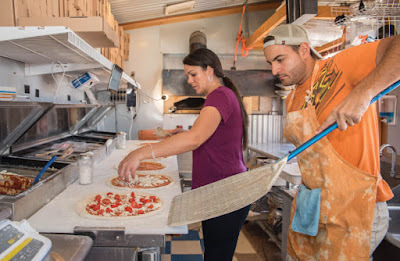 All of the pizzas are made with Caputo 00 flour, Wisconsin cheese, and canned San Marzano tomatoes. 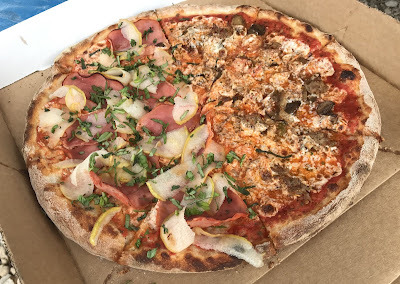 We were able to order a half-and-half pie, one side featuring the "Sweet Sow" that has thinly sliced pear, Canadian bacon, and fresh basil, while the other side was the "Shrooms to the Moon" with sautéed mushrooms, caramelized onions, and house made spicy sausage. Our pie took about 10 minutes for assembly and cooking as we waited at a picnic table on this warm day in February. The chef/owners, Scarlett and Izak Rock, are using a brick oven that reaches 800 degrees, but this is not a Neapolitan pie, as it has been mischaracterized. 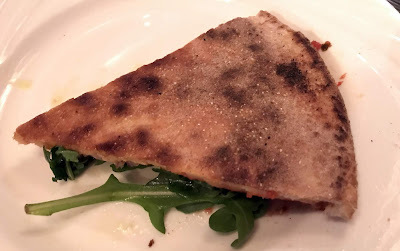 Neapolitan pizza has a soft, droopy, charred crust and a puffy cornicione. 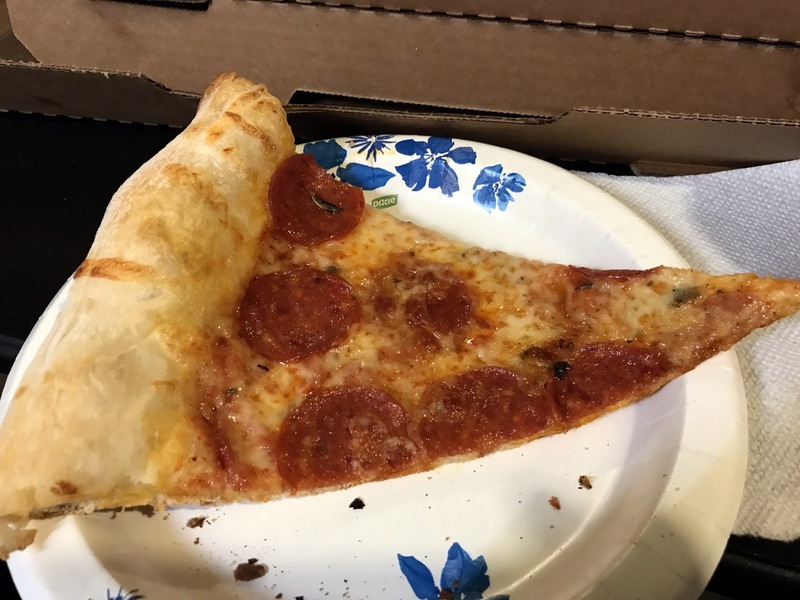 The crust here was thin, rigid, and crisp. I love a good Neapolitan pie, but I prefer a slice that doesn't droop. 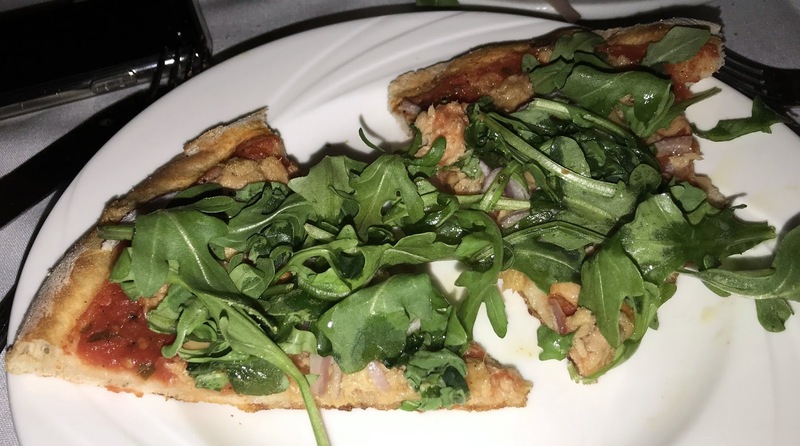 The crust is the key to every pizza, and this one was superb. It had a wonderful toasty flavor, a good snap to the crunch, and yet a bit of tender chewiness inside. The toppings were of a like quality. 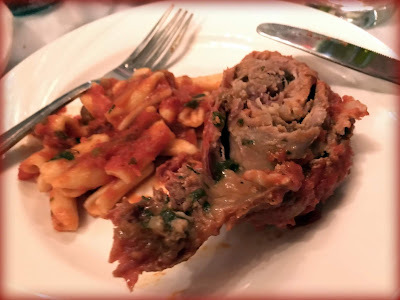 With so many bold flavors from the bacon and the sausage, the red sauce was still shining through. It was remarkably bold and rich without dominating the other elements. The "Sweet Sow" was inspired by the sweet fruit with salty pork of a Hawaiian pizza, but this was far superior. Thinly sliced and crisped Canadian bacon is a serious upgrade to the square chunks of ham applied to most Hawaiian pies, and thinly sliced delicate fresh pears are a much better complement than cloyingly sweet wet chunks of canned pineapple. Wonderful stuff. The "Shrooms to the Moon" side was also bursting with flavors, but a much bolder mix. 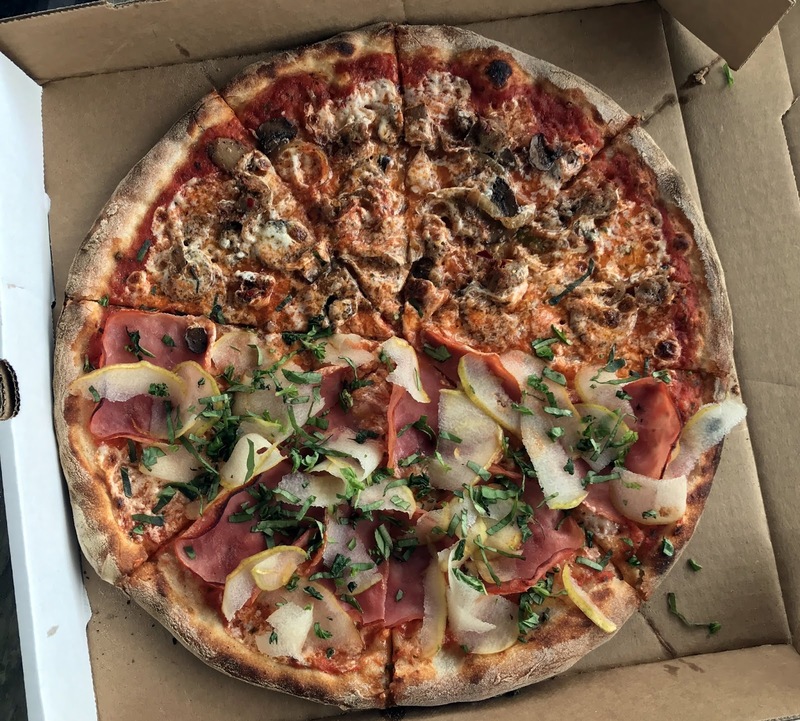 The fresh mushrooms set a rich and earthy tone, while the pepperoni and sausage lent a savory note and a serious touch of heat. The best experience was to alternate slices of this fiery side with slices from the delicate pear/bacon side. I loved this pizza; it was easily the best thing I ate during a week in the region. 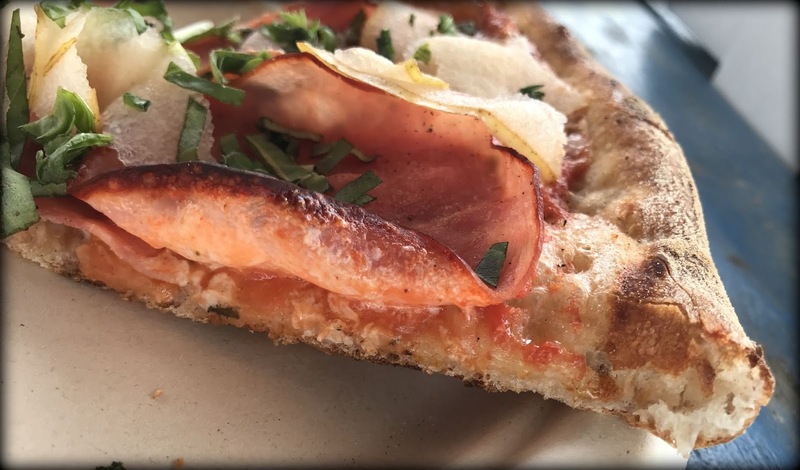 It may be a dream, but Roberta's Pizza was a pioneer in Bushwick, transforming that industrial part of Brooklyn into hipster central. 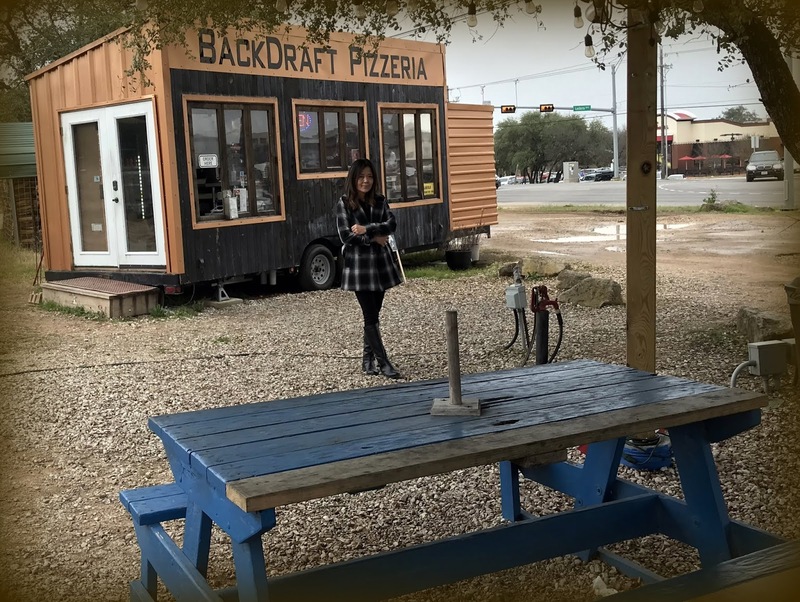 Could Backdraft be the Roberta's of Bee Cave? I'll let you know after I try the neighboring BBQ and Chicago hot dogs. 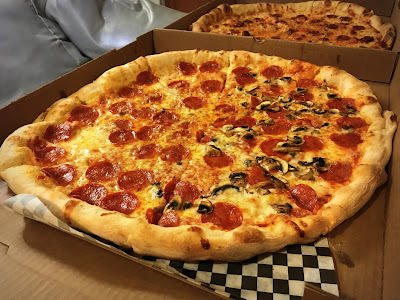 Folks don't think first about Texas when thinking about pizza, but I've found plenty of destination pie in the Lone Star state. In fact, Austin might boast as much great pizza per square mile as any city in America. For example, I've never been to Detroit but I'd be impressed if there's any place in Michigan making a Detroit pie better than the version coming out of Via 313 in Austin. The suburbs of Austin pose more of a challenge. I spent a week in beautiful Lakeway, 30 minutes from Austin, and found little there besides dull chains, burgers, and Americanized "Mexican" food. Round Rock is a more mature neighboring suburb, and we were visiting family there on Super Bowl Sunday. 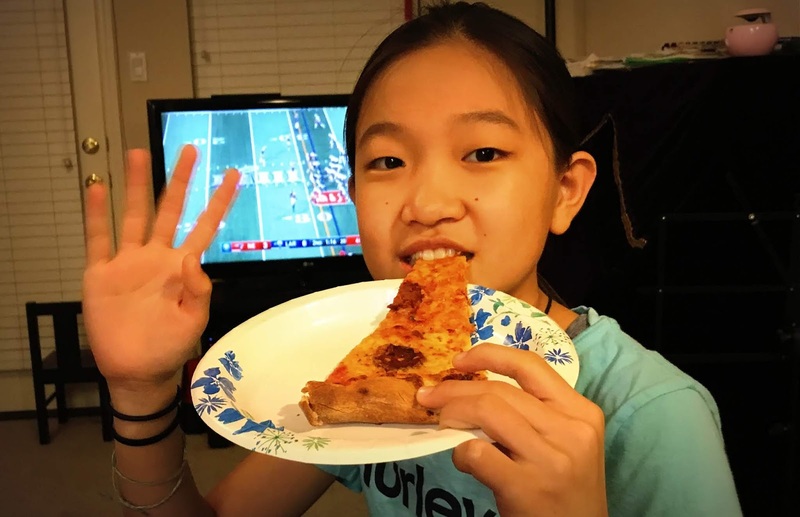 We decided to have pizza with the Super Bowl. That would be a challenge in Philly or New York; every pizza place would be bustling with take-out orders. We found no such difficulty in Texas - perhaps everyone there is ordering takeout BBQ? We chose Brooklyn Pie, a Texas mini-chain with a location at 2711 La Frontera Blvd in Round Rock, because their website indicated that they were attempting to create a New York style pizza. 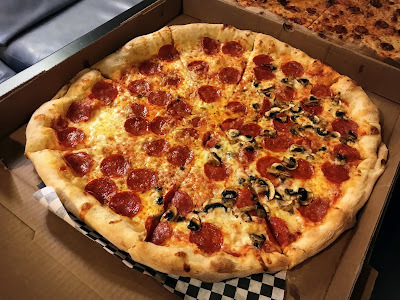 About 10 minutes before halftime (of a very boring game), I ordered two large pizzas - one with "spicy Sicilian" sausage, one with pepperoni and mushrooms - for takeout. 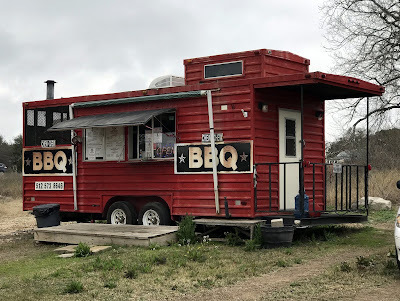 On arrival, I found a very quiet shop - one family dining outside al fresco on a lovely Texas February evening, and no one inside at the very few tables. The friendly counter guy had my pies ready, and the tab came to about $37 including the Texas 8.25% tax. It was a short drive back to our Super Bowl gathering, and we quickly dug into these pies while still hot and fresh. Each pie was a very large 18" in diameter, making for some huge slices. Anyway, this crust was spot on in that aspect. Happily, no one in our party was a folder. The best NY pizza crusts also sport enough flavor that you'd eat them without any toppings; this one was tasty but fell a little short of that mark. As a bonus, it sported a huge fluffy cornicione. 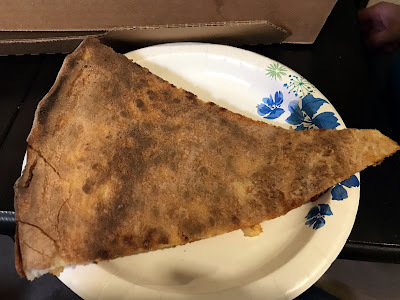 Another key characteristic of a New York slice is that the cheese and sauce are applied in the right proportions that they meld into an orange goo that clings to the crust. 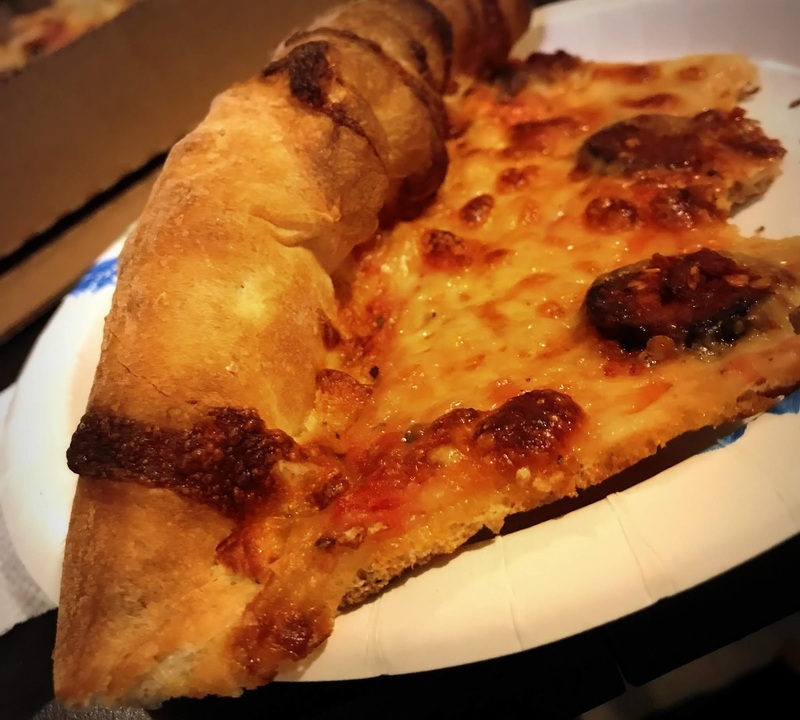 I love a bright red sauce, but the key color of a New York slice is orange. Here again, spot on. Neither the sauce nor the cheese was a standout - they were role players here but very nicely integrated into the gestalt of this pie. 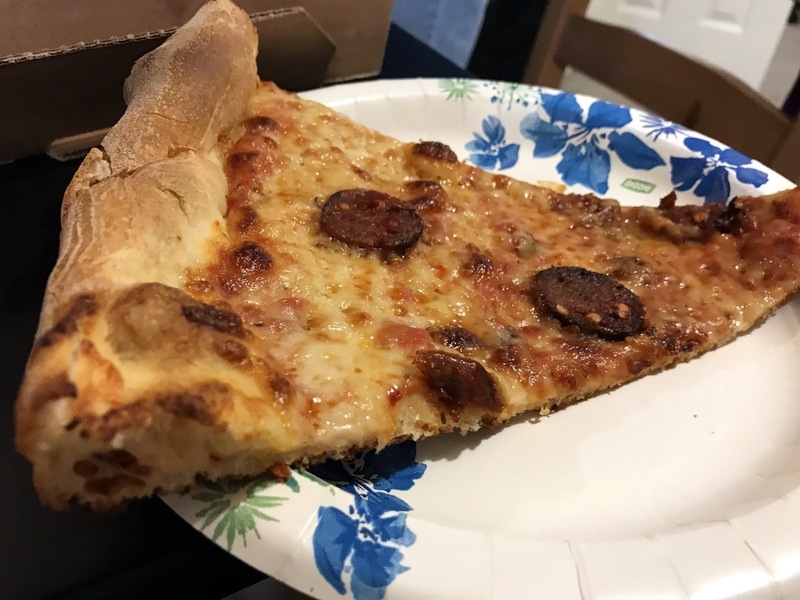 Whether Philly, Trenton, New Haven, New York, or Chicago, there is but one correct way to top a pizza with sausage, and plenty of wrong ways. 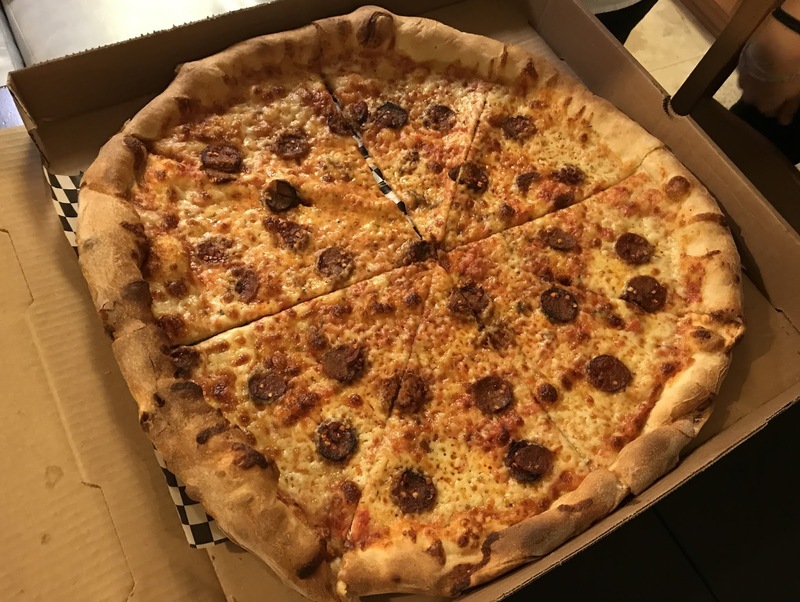 The only proper method is to squeeze out chunks of raw sausage from a fresh rope of Italian sausage so that it cooks on the pie, browning there and leaching flavor into the rest of the pizza. The worst way is sausage pellets, the Sysco rabbit poop that some mom and pop shops use; next worst is sausage crumbles, precooked stuff that lacks character. Also less than ideal is real sausage, pre-cooked, then sliced onto the pie where it then gets a second cooking. That's what we had here. It was better than most pre-cooked sausage, and it was quite spicy. If the topping had been called "DC half-smokes" (the spicy hot dog sausage sold at food carts around the nation's capitol) instead of "spicy Sicilian sausage" I would have found that the topping matched the description. It was a hit with my Texas crowd. The pepperoni was standard grade. The freshly sliced mushrooms were so beloved by my dining partners that I didn't get a slice with mushrooms on it! Overall, there was not a single standout component here, but the parts were well balanced and perfectly integrated. 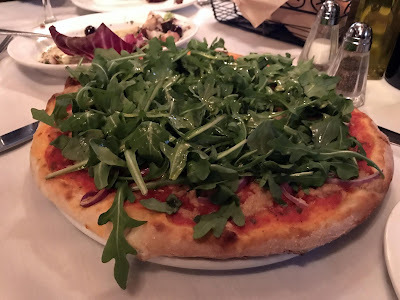 I read some online comments from transplanted Easterners grateful to get this kind of pizza in Texas, and I fully get that. 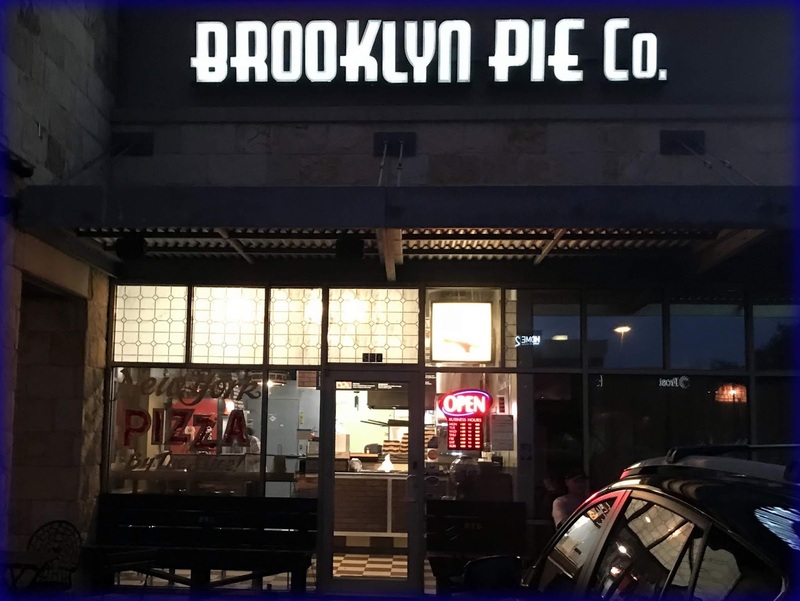 Would I go to Round Rock just to get this pie? 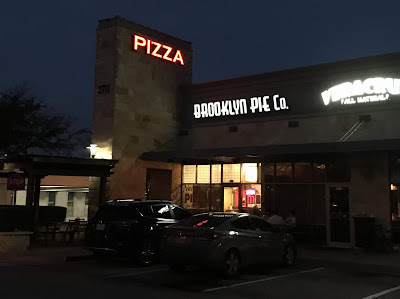 Perhaps not, but if I'm in Round Rock and I want pizza, I don't think I could do better. Authentic NYC pizza, deep in the heart of Texas.